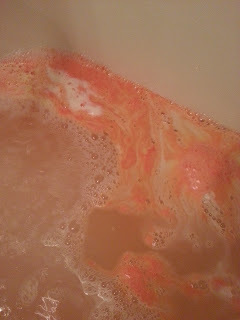 This was another bath bomb from my BOGO haul, that is in a few posts back. This one also came a little bumped up with crumbs at the bottom. I just dumped them into the tub at the same time I was using the bomb, so it wasn't a big deal. 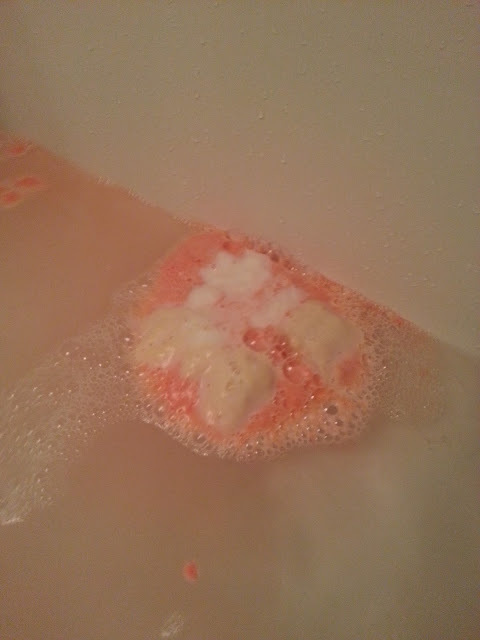 It smelled great, I for some reason really love the scent of bergamot and citrus. Especially in the Fall/Winter. As soon as it got into the water, it puffed right up. You can't really tell it's supposed to be Santa! It did kind of "dash" around the bath tub, like the name would suggest. 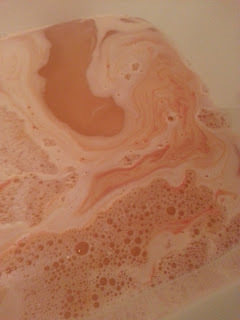 As you can see it left the water in a somewhat murky pinkish, apricot, tone. To me it just kind of looked like dirty bath water lol. It did take some time for the bomb to fully disintergrate. As you can also see, it did make some small bubbles in the tub. 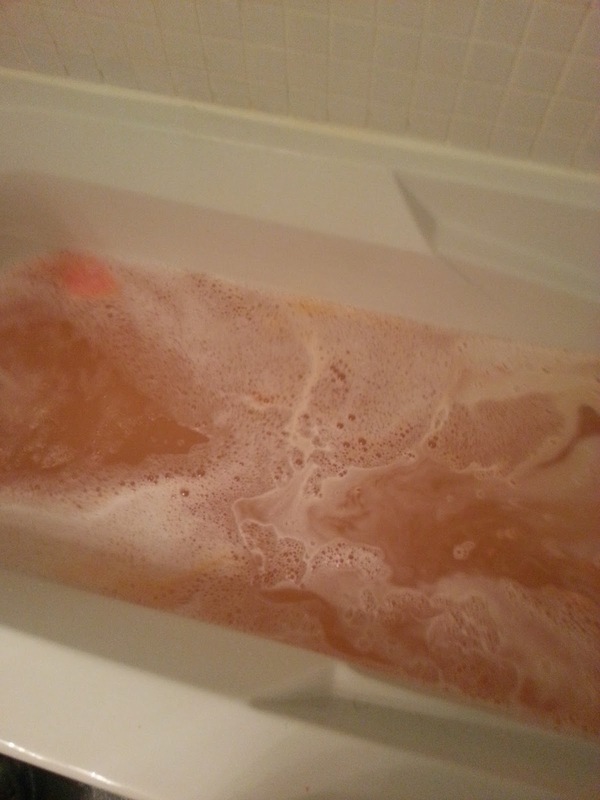 Personally, I wasn't a big fan of this bath bomb. It just wasn't too exciting. I liked that it didn't leave a ring around the tub at all, but it made the water look dirty, and the scent didn't last very long. 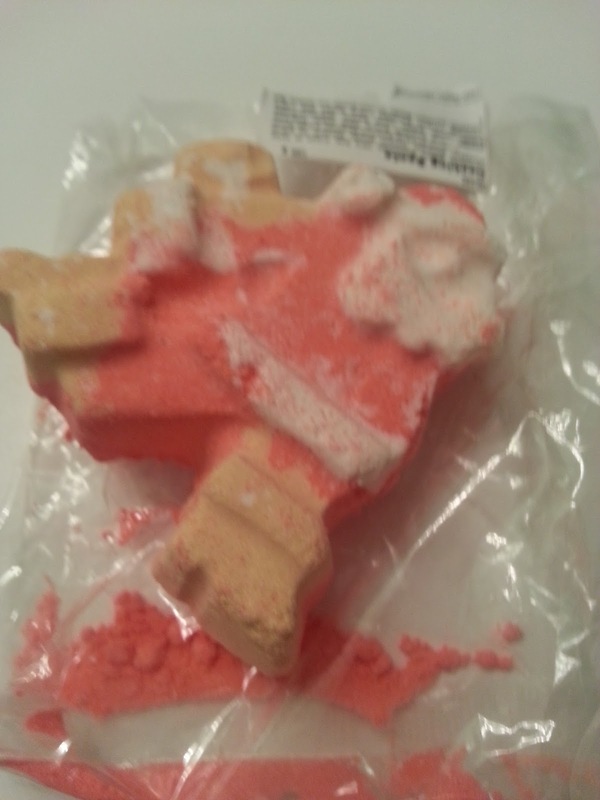 At $5.25 it's one of the more affordable bath bombs, but I wouldn't repurchase this.